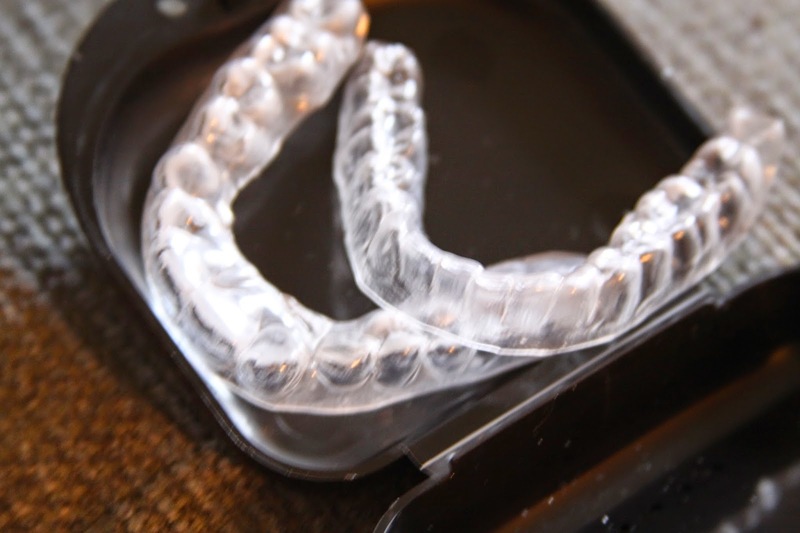 Smile Brilliant is literally a personalized tooth whitening system made to your tooth specifications. It's all quite technical really. 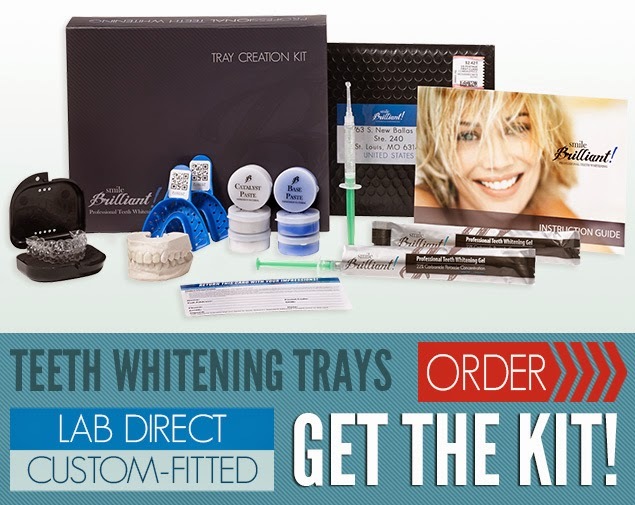 I mean you know, you've tried those tooth whitening kits on the market right? Who has the same size mouth and teeth. My teeth are no way like my husbands or even my sisters so why would tooth whitening companies think the one size fits all approach works? 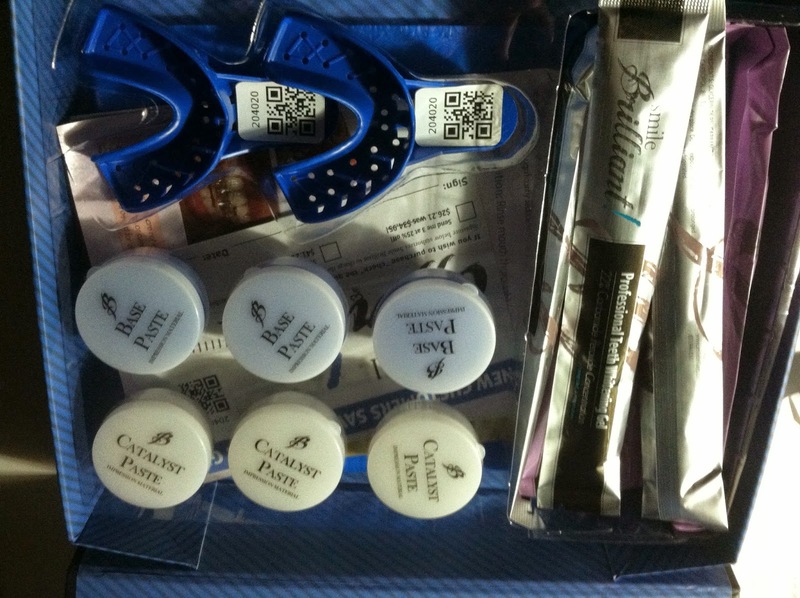 Check out Smile Brilliant's unique approach to the tooth whitening system. Here is what I received and everything was in there! I mean everything. It was like my own little science kit. This little kit has everything you need to make your own tooth impressions. You mix the Catalyst with the Base Paste, put it into those teeth wells; don't worry it won't matter which one. Make an impression of your teeth, top and bottom. It was so ridiculously easy. I was actually worried when I read the instructions thinking ugh...will I be able to get an accurate impression of my teeth? The system will only be as good as my impression. This is why they give you an extra set of the mixes. Mistakes can happen. It didn't happen and I actually enjoyed the whole mixing part, twisting and folding. It was fun. 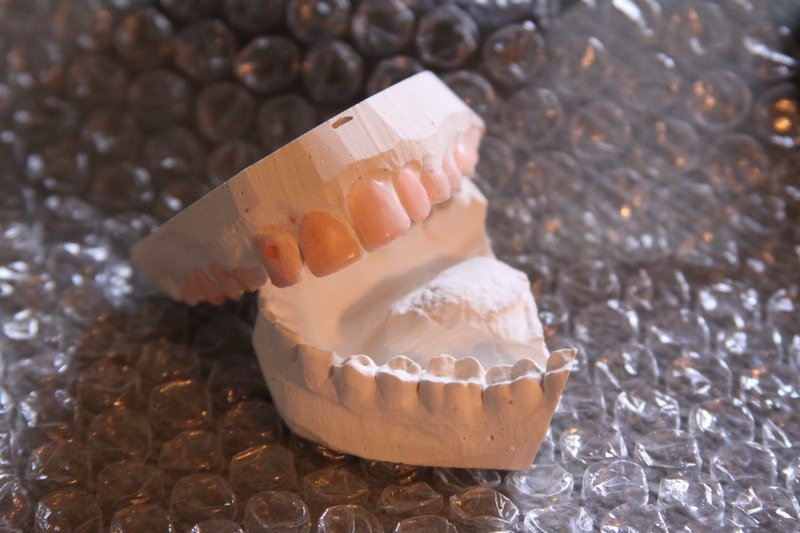 Next you take the impressions still in the tooth wells and pop them into the stamped bubble envelop provided. I had my teeth literally 8 days later! When I got the package I was surprised. Inside the bubble wrap was my impressions. This is literally my teeth. Which just tonight made a Skype appearance because they sit on my desk and my kids wanted to show their grandpa Mommy's teeth. Also, inside the package was a black case with my personal teeth whitening system. It's so cool, I am even going to show you what it looks like on my teeth. 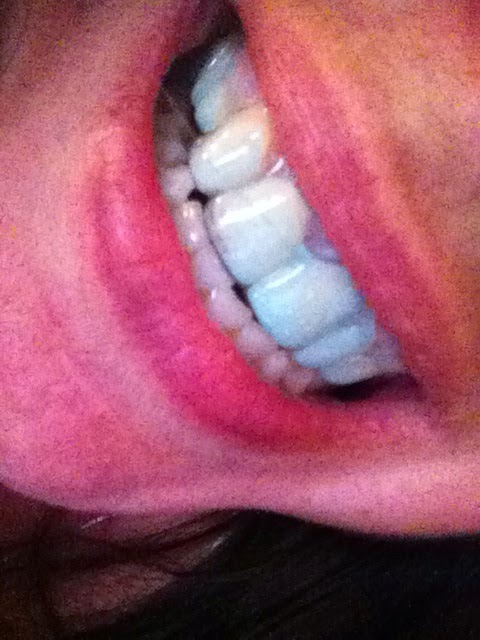 It's my teeth close up!!!! Well, here it goes. It is such a great fit, you can barely see them on my teeth! I think this system is totally amazing and highly recommend it. It definitely works and my teeth looked brighter after 3 treatments. 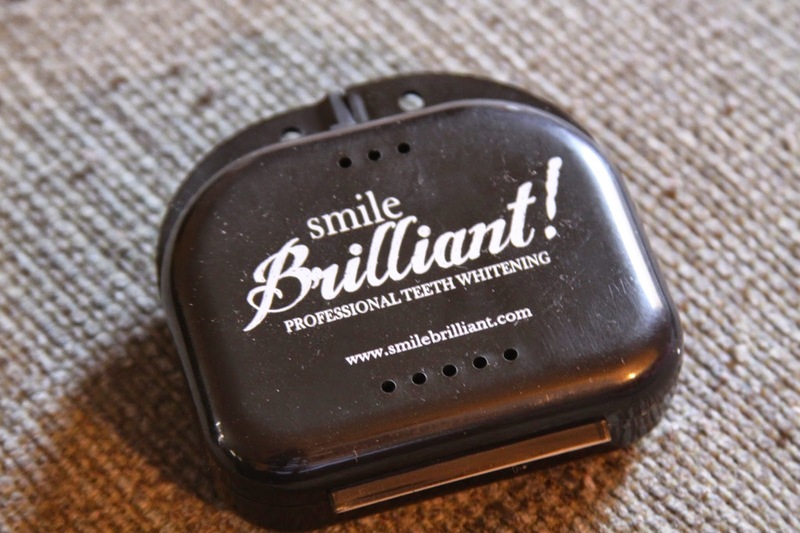 Smile Brilliant wants to give one lucky reader a chance to check out their tooth whitening system! Please enter for your chance to win. Disclosure: No monetary compensation was offered. I received a complimentary product for my honest opinion. I had no idea that this works as well as the professional whitening does! There are many different ways to whiten your teeth too! I learned that 3 syringes of teeth whitening gel from Smile Brilliant are good for 9 to 12 whitening sessions. I learned that they are custom fitted but the price is pretty reasonable. I learned that they are custom fitted like professional whitening. The Smile Brilliant system includes a desensitizing gel, which is awesome because sensitivity is my biggest problem with whitening products. I learned there is a 2 year replacement warranty on the trays! Really? 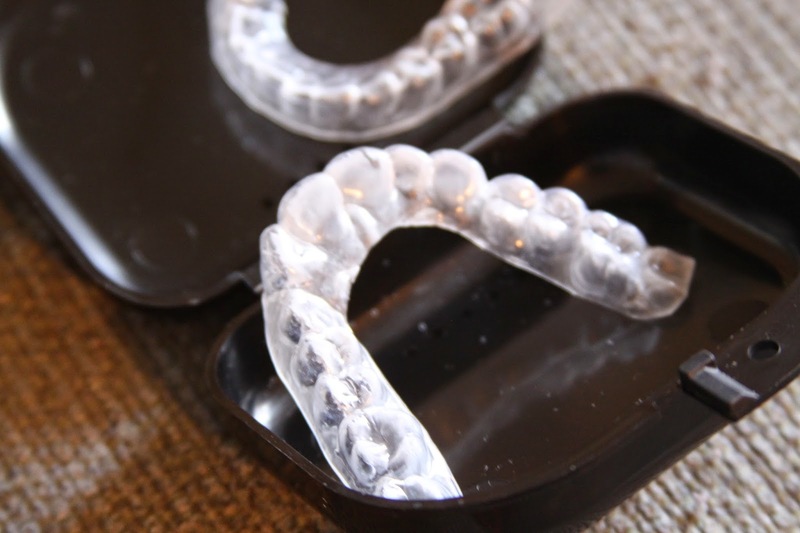 It has desensitizing gel for teeth’s sensitivity. 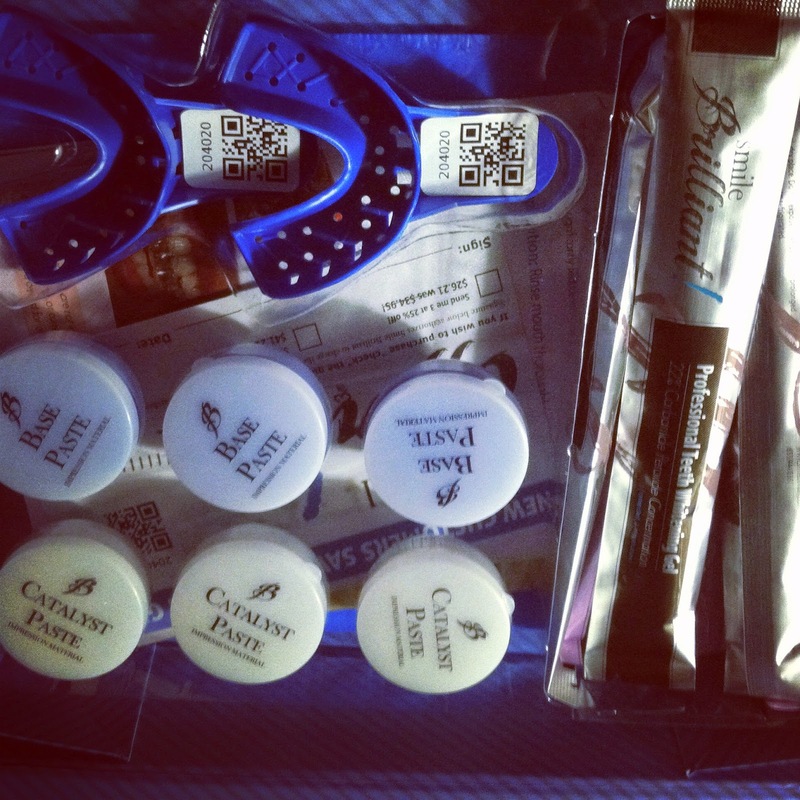 Before my teeth whitening treatment, I also use several whitening gels and pens. I think it cost me almost thousands of dollars for just the kit alone, some yield good results, but it’s not long lasting. Hope the kits will do well to your teeth, folks. Good luck!